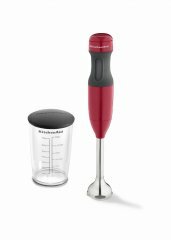 Considering this baby food blender's aggregate ranking of 88%, we believe that the KitchenAid KHB1231 is, as of now, Alphachooser's best baby food blender 2019. Furthermore, we think that our sample of 2574 reviews from our sources gives us a high confidence level (more on confidence levels) that pushes us to call it a "no-brainer best choice." 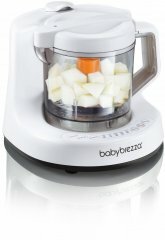 With its 4.5 stars computed from 229 reviews, here is second best baby food blender. 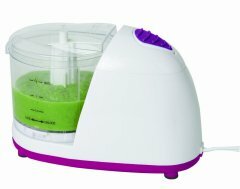 * These choices are based on a full analysis of hundreds of baby food blender reviews from across the web. 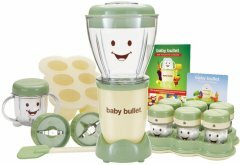 The Baby Bullet is a personal blender that specializes in making baby food and also comes with a batch bowl, two kinds of cups with stay-fresh lids, two different trays and two kinds of blades. 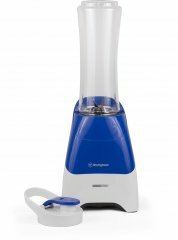 The Cuisinart Baby Food Maker and Bottle Warmer BFM-1000 sports a patent-pending Bladelock system that keeps the blades in place when pouring (though we do not understand what the advantage is -- do other blenders have blades that fall off when pouring?). 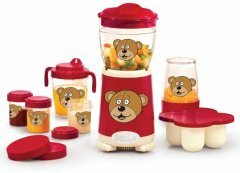 The Bella Baby Rocket 13617 sports 18 pieces of cups, lids, and beakers that are made of non-toxic BPA-free plastic. 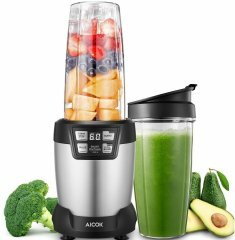 The manufacturer's claim that it can preserve vitamins and nutrients, though we do not see how other blenders could not do that too. 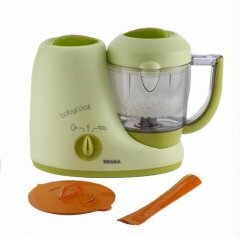 The Infantino Peppy Puree is especially intended to be safe for babies, as it is free from harmful substances like PVC, BPA, and Phthalate.